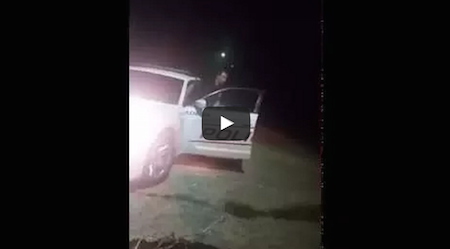 Man Gets Stopped For "Jogging While Black" And Shuts Police Down Like A Boss! Man Gets Stopped For “Jogging While Black” And Shuts Police Down Like A Boss! While out for a jog, Talladega, Alabama resident Corey Dickerson decided to take a breather and catch his breath. A father of three, Dickerson was minding his own business, just trying to get in some healthy exercise, when local law enforcement arrived. Sweaty from his jog, Dickerson wasted no time in taking charge of the situation, refusing to allow himself to become static. “Looks like I’m about to get harassed,” he said to himself, and made sure to record the encounter on his phone – which he makes the police aware of. Even with that law in place, police must have a real reason for suspecting him of a crime. Police cannot just claim that he “looks suspicious”, and Dickerson was aware of that. So, while he is polite and gives the officer his first name, he refuses to produce his ID without reasonable explanation. This Natural Remedy Will Help You Get To Sleep And You Won’t Even Wake Up Tired!